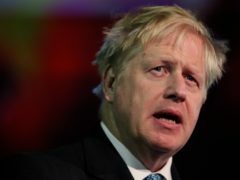 Boris Johnson has been urged to apologise to victims of child abuse after claiming millions of pounds of police funding is being “spaffed up the wall” investigating historic allegations. Boris Johnson has claimed millions of pounds of police funding is being “spaffed up the wall” investigating allegations of historic abuse. Theresa May will be met with a 132-square-metre reminder she supported Remain on her visit to Brussels on Wednesday evening after a British activist group paid for a huge advertisement in the city centre. Boris Johnson came face to face with a large male cheetah on Sunday as a visit to Howletts Animal Park in Kent turned into a hands-on experience with one of the world’s most efficient predators.